Known for their solution-oriented approach, major liquid handling product distributor Pipette.com has announced their Sartorius mLINE Pipette Starter Kit Special. The Starter Kit Special allows lab technicians to mix and match pipette sizes rather than be limited to predetermined sizes. The Sartorius mLINE Pipette is ideal because of its lightweight and comfortable design. Sizes available for Sartorius mLine Pipette include 0.1-3, 0.5-10 ul, 2-20 ul, 10-100 ul, 20-200 ul, 100-1000 ul, 500-5000 ul, and 1-10 ml. The Starter Kit Specials start at $195.00 per pipette. They include 3 pipettes (of any size) and 3 racks of pipette tips. Pipette.com is one of the leading pipette distributors in U.S.A. with over 20+ major brands of pipettes, 10+ brands of pipette tips, lab equipment, and ISO 17025 calibration service. Because of the vast product portfolio and product knowledge Pipette.com is able to find the solutions customers are looking for within their budget. 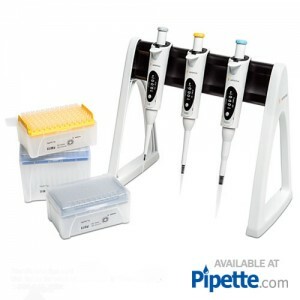 Customer enjoy doing business with Pipette.com because they are able to browse variety of products, get immediate answers & guidance on the right product for their research, and in-turn accomplish more with their work. To purchase a Sartorius mLINE Pipette Starter Kit, visit http://pipette.com/biohitpipettes?sbr=99&sbn=mLine%20Advanced%20Digital%20Pipette.